Home » Lyrics » When Is Third Person Best? When Is Third Person Best? There are certain situations that immediately point to a specific point of view to be used for your song. While you can go with another point of view, for the most part, if you’re dealing with a song idea that fits any of the below, you may want to go with the tried-and-true third person point of view. From a marketing perspective, no singer in popular country music will ever sing a song in the first person that makes them out to be a horrible person, loser, drug addict, heavy drinker (wait, strike that one – that’s actually popular now!) – you get the idea. For the most part, if telling the story from the “I” perspective puts the singer in a bad light, it should be avoided. Now there are genres and singers where this doesn’t matter. If their – or your – personal brand can withstand it, then being in third person isn’t necessary. However, if you’re writing for others, from a marketability stand point, it’s something to consider. These are usually what cause pronoun problems for songs, and they’re difficult to keep straight if you try to write everything in the same tense. The “you’s” and “me’s” can get confusing if you’re jumping around between a current moment and conversation. Third person can solve this problem by creating a clear separation between the current scene and the conversation. For example, “Mama said you were trouble and my heart was just weak” could occur in a song that has the line “She recalled their conversation just last week.” The song is in third person, but the conversation is direct address. One note of caution here! It’s easy to get drawn into a “you”/direct address conversation within the song and forget to switch back out to third person. 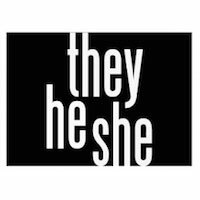 Be sure to keep an eye on how the pronouns align with the scenes. I’m not saying it has to be bitter relationship, but when there’s no chance anymore it’s “s/he” not direct address. People don’t often say “you” if they don’t have a chance unless they can’t bring themselves to the realization that it’s over. But, that’s a different kind of song that requires careful consideration of how the singer will be perceived. See reason #1. If you’ve written something that sounds like a secret being conveyed, almost like you would tell a friend over drinks hanging out at their house, write it as third person. Drawing the audience in to a confidence is a great way to create engagement with your song. It’s tough to sound credible as a grandparent when you’re not old enough to be in that particular situation. If you don’t have grand kids, then write it in third person.